More than 270,000 people signed petitions for Proposition 207, which would have raised taxes on higher-income earners to fund education. But the court in August ordered the initiative pulled from the ballot because it said language on the ballot petitions was confusing and had the potential to mislead voters. The court’s justification of its Aug. 29 order removing the proposition from the ballot did little to calm outraged supporters of the initiative. But critics of the initiative said the court had little choice but to strike the proposition, which they said violated state law for initiatives. 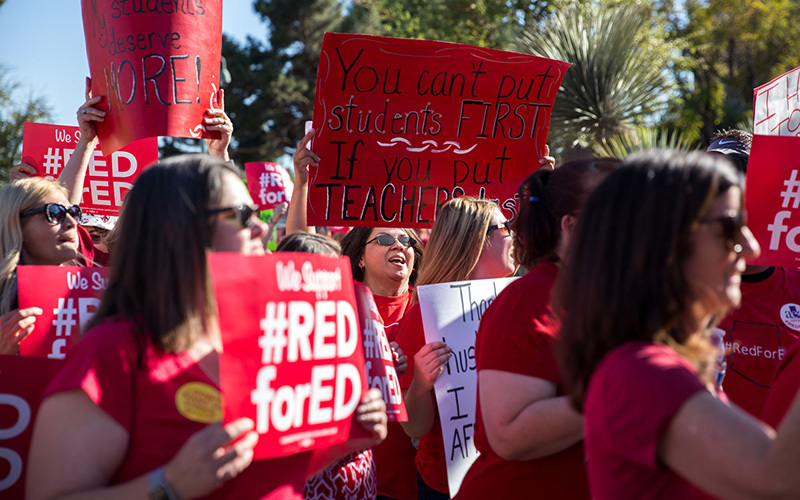 The initiative came in the wake of #RedForEd rallies across the state this spring, that featured teacher and student walkouts to protest Arizona’s chronically low funding for state schools. Gov. Doug Ducey and legislative leaders responded in April with a plan to raise teacher salaries by 20 percent by the year 2020. But critics said that would not be enough to fill the state’s pressing school needs. The InvestInEd initiative would have raised an estimated $690 million a year for schools by levying a 3.46 percentage point increase in the state income tax rate on individuals making at least $250,000 or households making $500,000 or more. The tax rate would have risen by 4.46 percentage points on individuals with annual incomes of $500,000 or households with incomes over $1 million. State law requires initiative petitions to include a 100-word description of the proposal, and critics said the language on Prop 207 petitions was misleading on the effect and cost of the tax increases. The court agreed. The majority said the petition language failed to note that the initiative would have affected the state’s inflation-adjusted indexing of income, which would have led to virtually all taxpayers seeing an increase, not just the rich. “Most taxpayers would have a small portion of their income taxed in a higher bracket, resulting in a small increase on most taxpayers,” the majority wrote, citing a Joint Legislative Budget Committee analysis. The ruling also noted that the petition language misrepresented the actual tax increase by referring to it in percents instead of percentage points – so that what the petition called a 3.46 percent increase in taxes, translated to a 76 percent increase in an individual’s tax rate. That would “yield a significant danger of confusion,” the court said. The ruling comes less than two weeks before Election Day and adds fire to the debate over judicial retention elections, with two judges who are on the ballot next month among the five who voted to reject Prop 207. 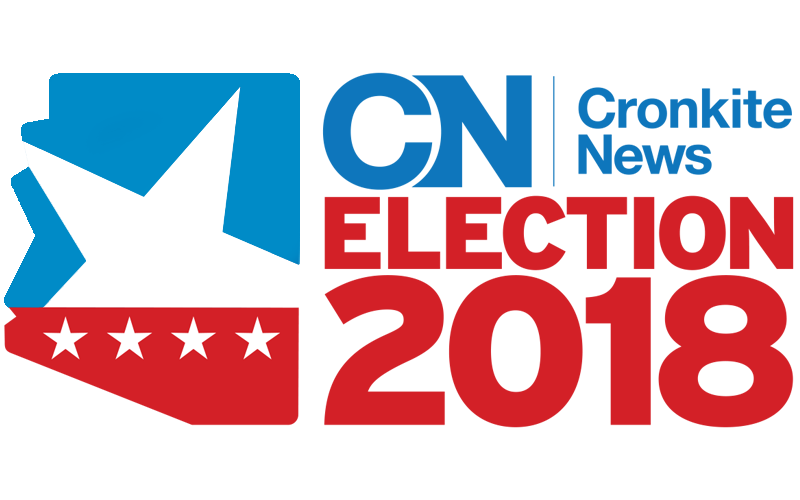 But one Republican political consultant said he does not think this will increase the odd that Justices John Pelander and Clint Bolick will be voted off the bench in November. “I don’t believe this is going to pour lighter fluid on a fire that was already raging,” said Jason Rose, the consultant. Critics have also noted that Ducey added two additional justices to the court in 2016, upping the total number from five to seven with the appointments of Justices Andrew Gould and John R. Lopez IV. The lack of their votes would not have made a difference, however, in the court’s 5-2 decison. But supporters of the measure said this result shows the state’s leadership has “broken” the ability of voters to have input on the state’s education system. “This decision creates new law that in effect gives politicians, through the Legislative Council, the right to interpret and describe any citizen initiative regardless of the intent of the drafters,” wrote InvestInEd co-chair Josh Buckley in a statement on the group’s Twitter page.